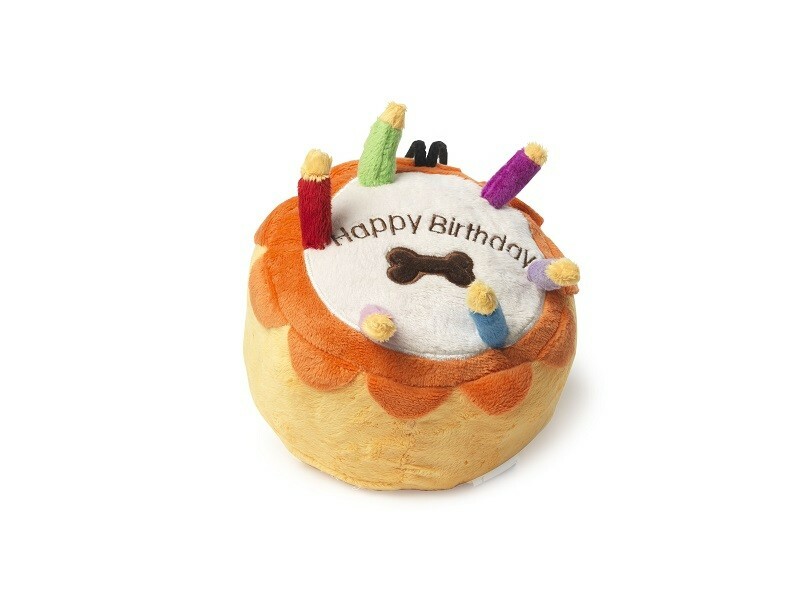 A fun plush dog toy in the shape of a cake featuring candles. Contains a plastic squeaker. This toy is for use by pets only. Supervision advised at all times. Please remove toy if it becomes torn or ripped.